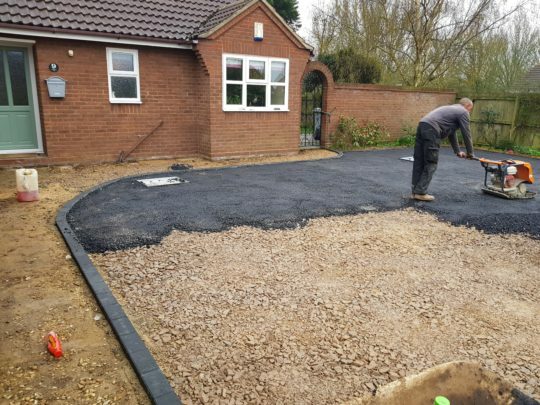 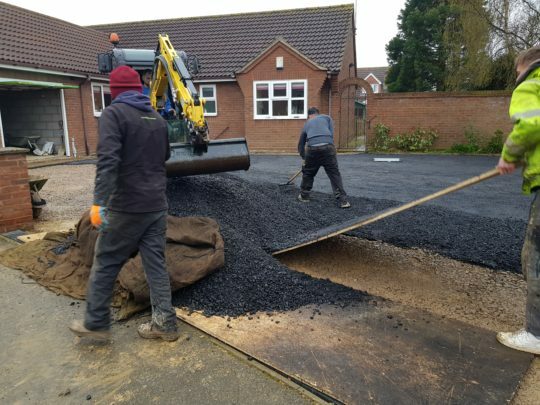 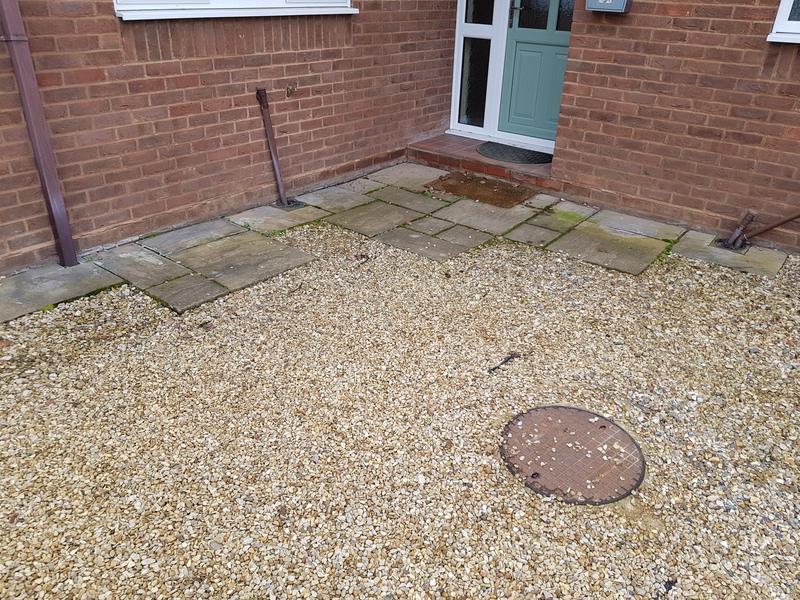 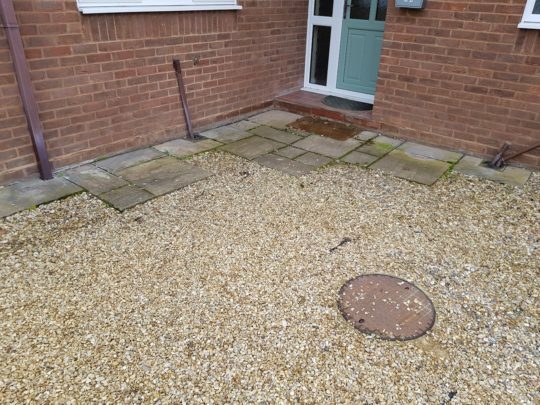 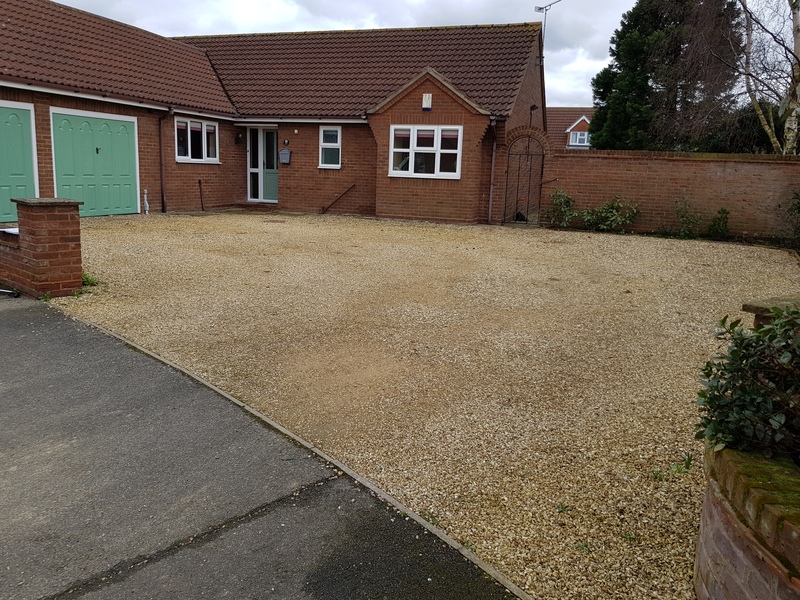 Our customer had recently organised the purchase of the property for his great aunt who was concerned about walking on the gravel driveway and wanted a solution that would look great and require little to no maintenance. 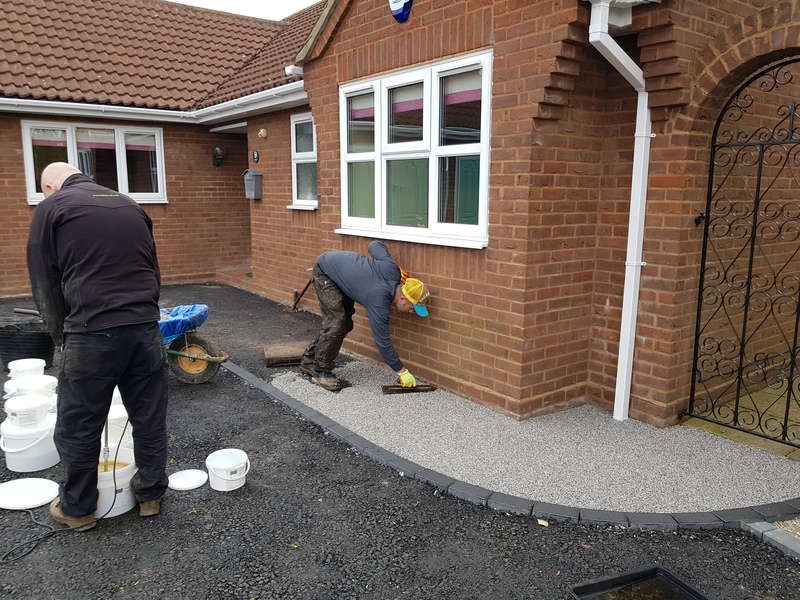 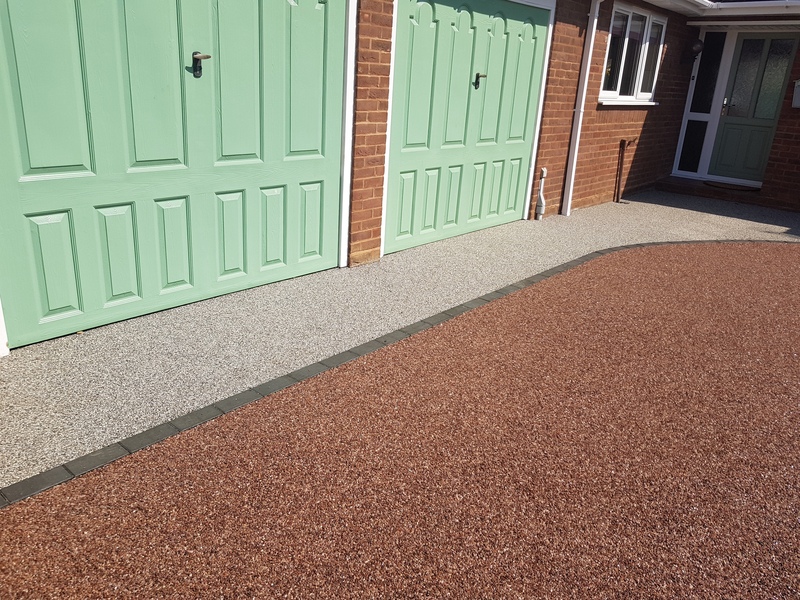 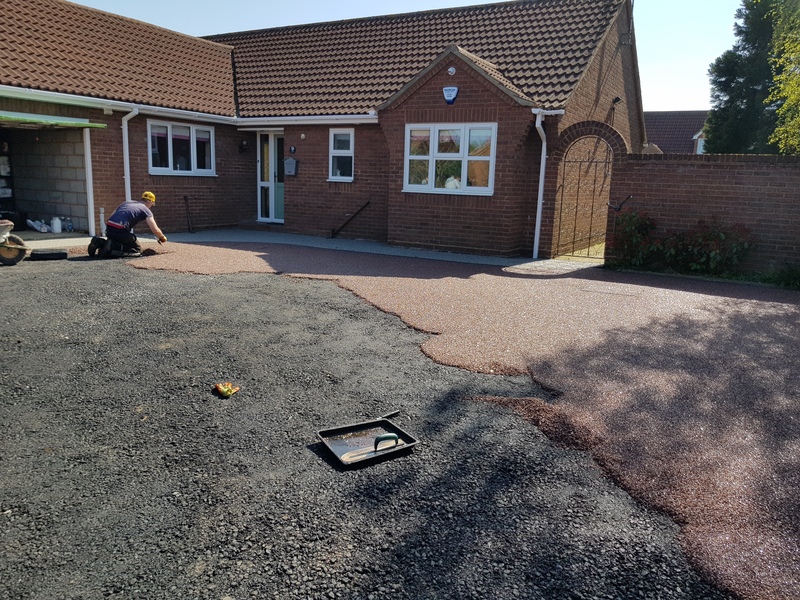 A resin bound driveway was the obvious choice as it would transform the look of the property and with the vast possibilities when it comes to colour we could find something to perfectly match the properties brickwork. 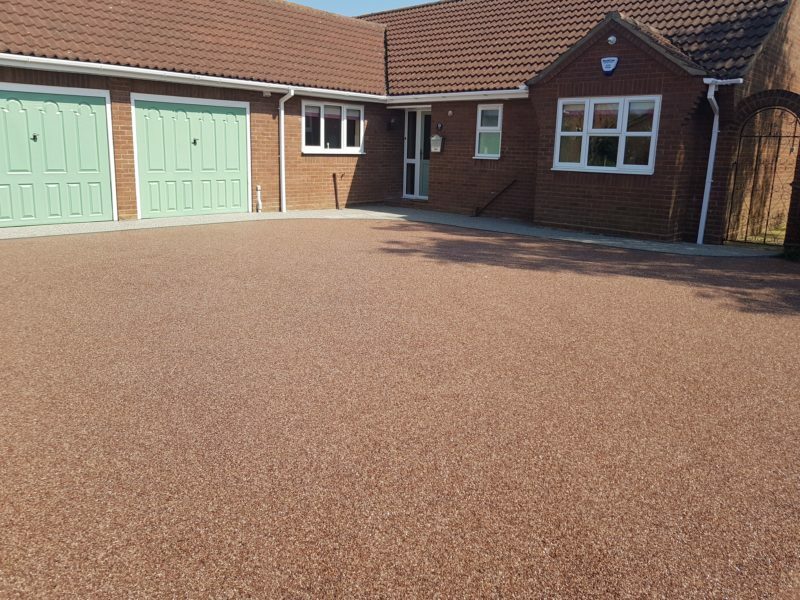 As well as this, a resin driveway wont fade in the sun and requires no maintenance when it comes to things like weeds which alternative products such as block paving struggle with. 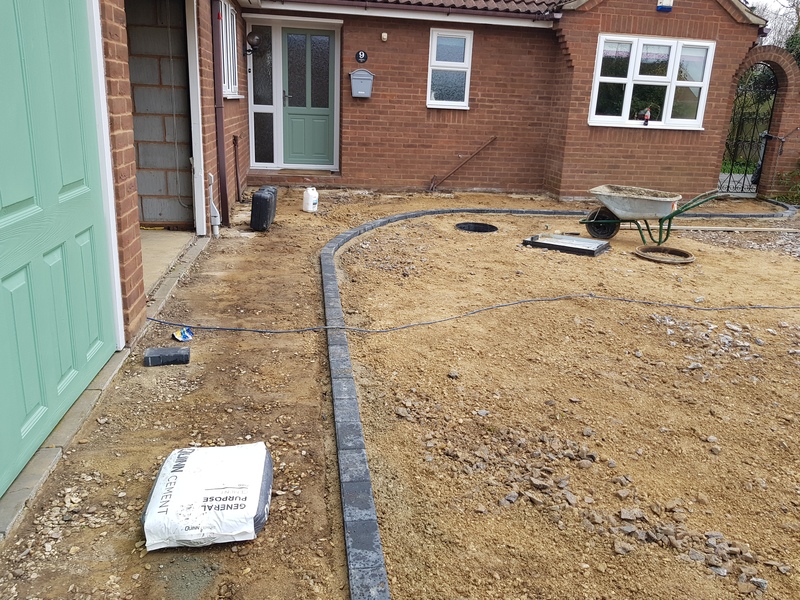 We suggested splitting the area with a pathway to make the install look less commercial and a colour choice of Staffordshire Pink for the main drive and Daltex Silver for the pathway was decided on a complimented with a Charcoal block edging. 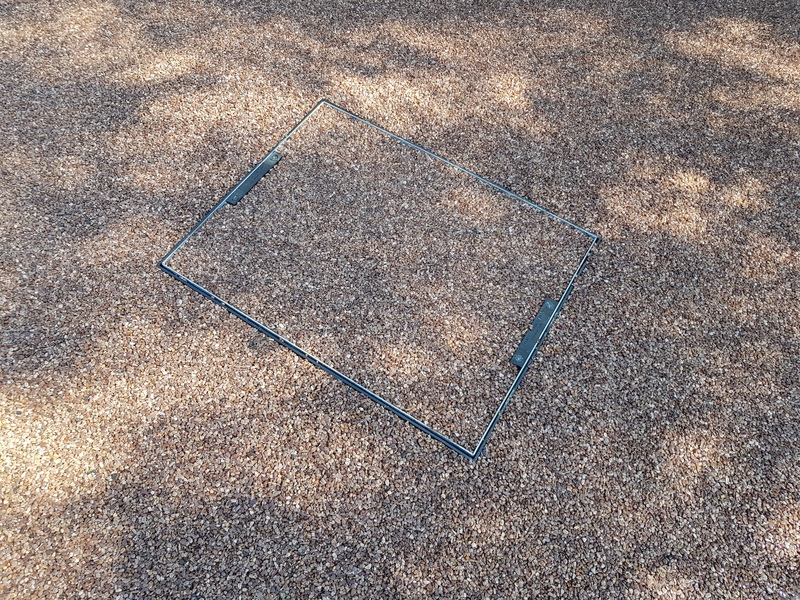 Previous manhole covers were replaced with recessed ones to camouflage and the the entire project of 130sqm was completed in 5 working days. The end result looks stunning and our customers couldn’t be happier.